Discover Cuenca Ecuador and BEYOND! : DIY Quito Landing Guide at YOUR SERVICE! DIY Quito Landing Guide at YOUR SERVICE! Here it is! 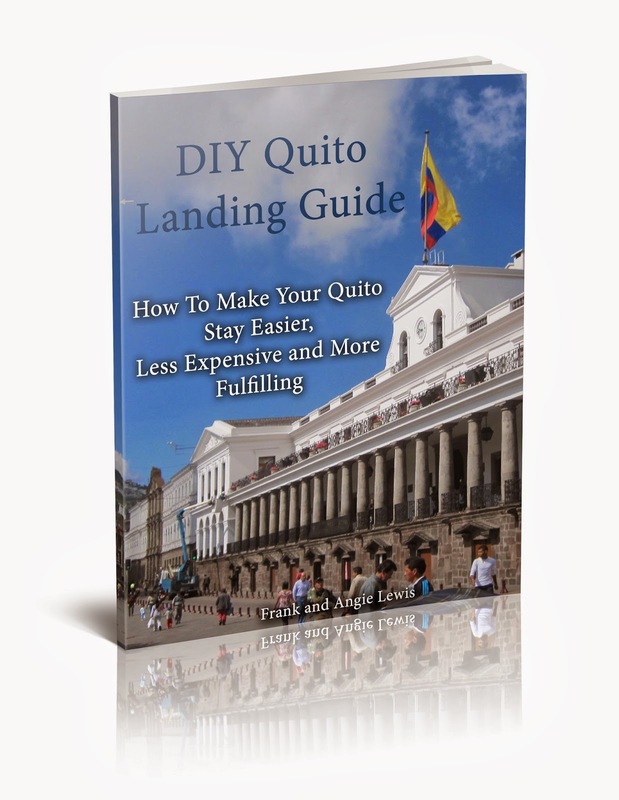 The DIY Quito Landing Guide is published and available for purchase. The book boasts three sections and is a whopping 260 pages filled with our due diligent research, experiences, observations, and anecdotes of the beautiful city of Quito Ecuador. Don’t land in Quito without it! Click here to see all the Chapters. Click here to find out more on LULU! Congrats on your new e-book. We haven't read it yet but if it is anything like your "Discover Cuenca" which we used on our recon visit last year it will be especially helpful for visitors and newbies alike. Hi there you two. Thank you for the kind words.